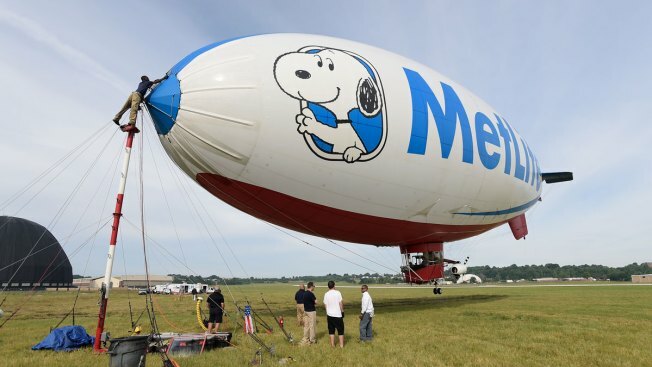 File photo of the MetLife Snoopy Two Blimp prior to the final round of the World Golf Championships-Bridgestone Invitational at Firestone Country Club on July 3, 2016 in Akron, Ohio. Snoopy has been handed the pink slip after 31 years (almost 170 dog years) as the face of insurance giant MetLife Inc. The company said Thursday it is launching a new global branding effort, marking the end of a long relationship with Charlie Brown's beagle and the Peanuts crew.